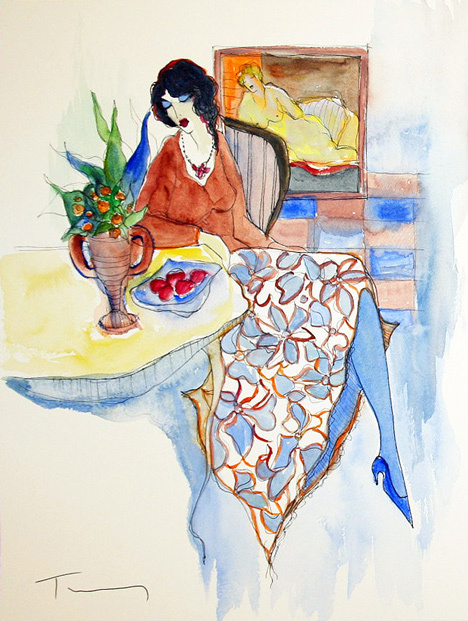 ITZCHAK TARKAY RARE FABULOUS BEAUTIFUL ORIGINAL WATERCOLOR ON PAPER. Hand signed. Artwork is in excellent condition. Certificate of Authenticity included. Click the button below to add the Hand Signed Woman Thinking by Itzchak Tarkay Retail $5.2K to your wish list.